It's a weekday evening and everywhere is crowded, you are spoilt for food choices at Orchard Central and you're craving for Jap cuisine. 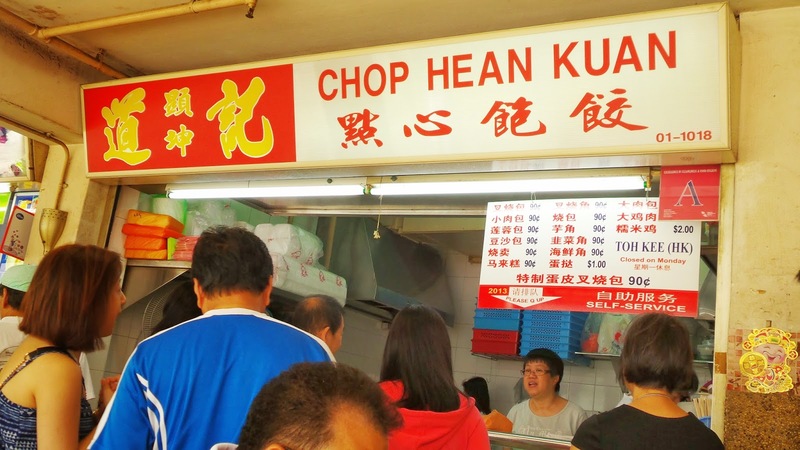 Can't decide where to eat? Choose Sumiya! I never knew there was a 12th floor at OC until last Thursday. To go to level 12, you need to take the lift to the 11th floor and take one floor up by the escalator. The scenic view and strong breeze outside the restaurant looks perfect for couples who wants a quiet place or for friends to mingle for hours without being chased. We decided to order one or two from each category since it was our first time dining there, we wanted to try everything! Here's what we got after careful selection process. I'd never miss out any pumpkin dishes so long as they are available, i'd have to eat my share of it. 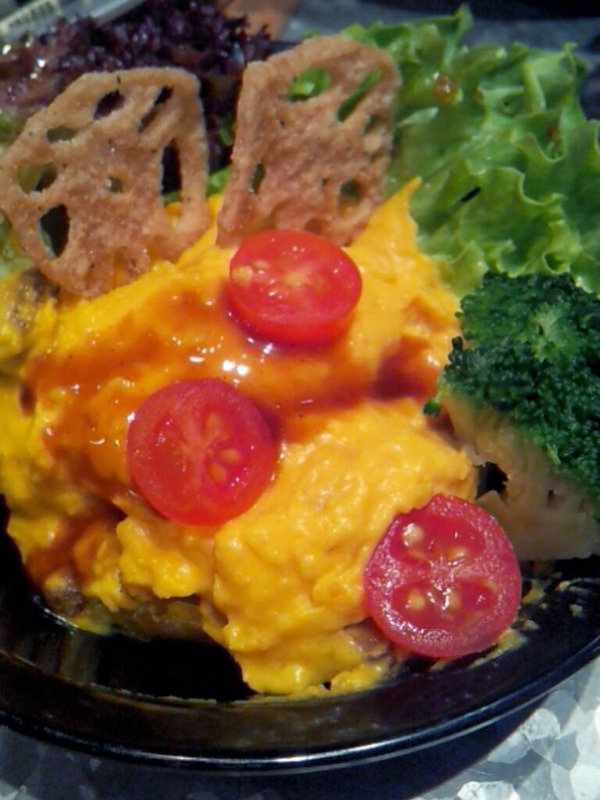 The mashed pumpkin was served with some deep fried lotus slices and brocolli. I like it a lot as the original sweetness of the pumpkin was retained. Furthermore, there were chunks of pumpkin within the smooth pumpkin salad. Much better than any potato salad i ever had before! Our bowl of edamame being attacked!!! 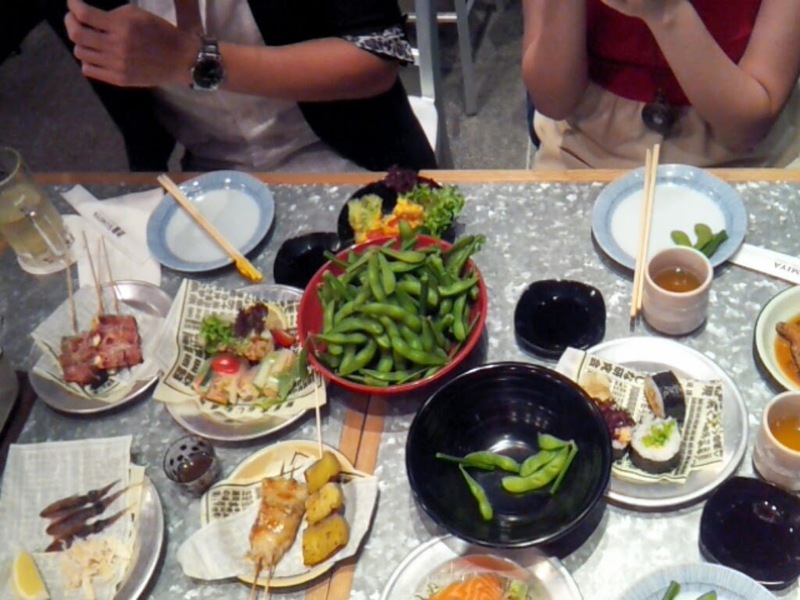 For $6, you get to eat as much edamame as your hand would like you to. I got J to grab from the large bowl of edamame which they provide for us to grab from. It did not seem too hard to grab a reasonably big amount of it. It was just nice for the 3 of us at least. The lady that comes with the edamame would even beat a drum to create a scene. Every table ordered to get some attention too. The sashimi was quite fresh but only had about 6 fat slices. 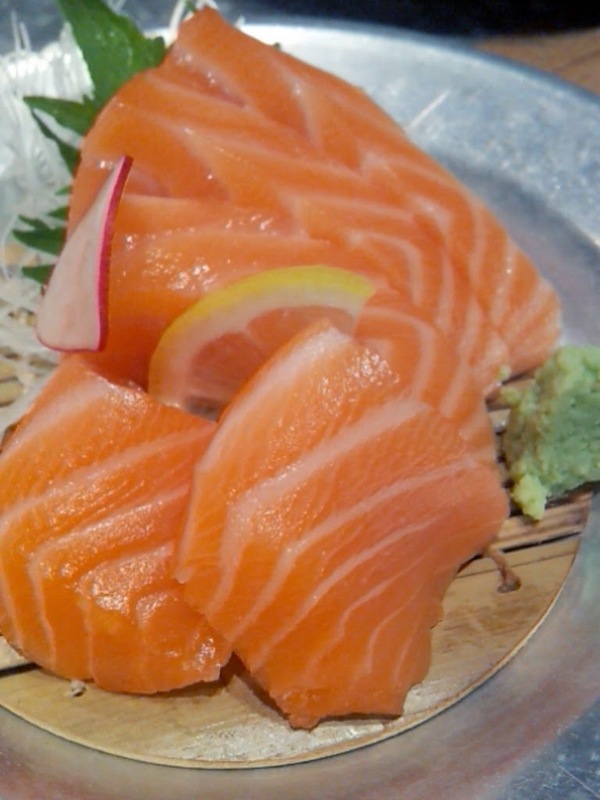 But we will order anyway since a Jap meal can never be complete without salmon sashimi! This is quite average. Nothing special to let me remember the taste of it. 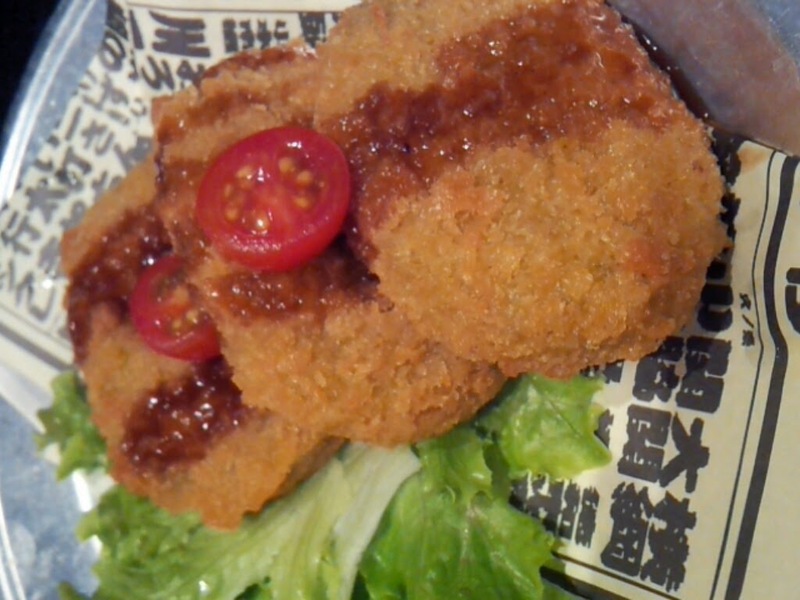 This is even one of the recommended dish! 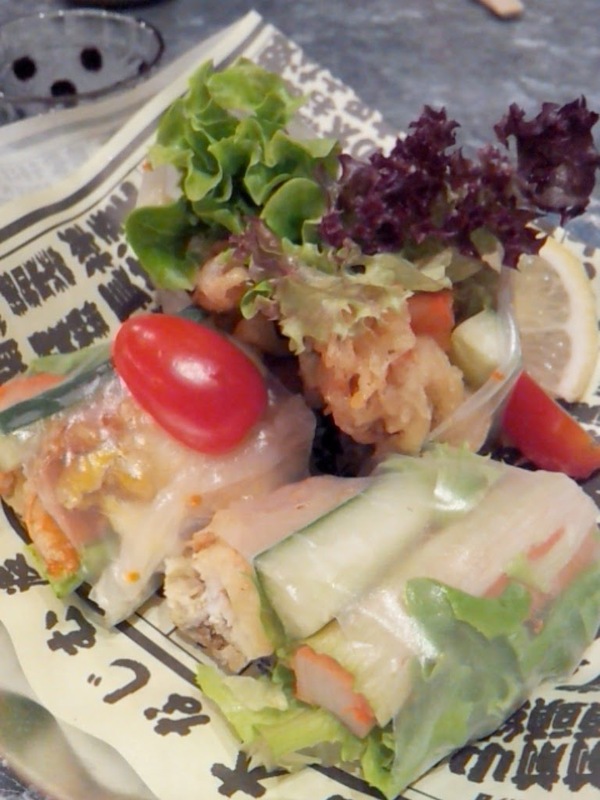 A vietnamese spring roll look-alike dish, the ingredients used were fresh so this was a rather refreshing appetizer, although all seems like one too. 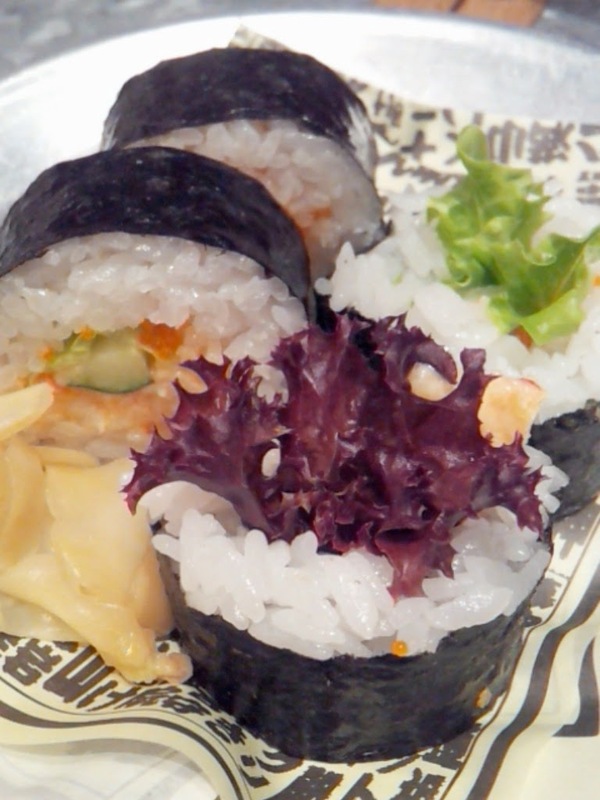 The soft shell crab retains its slight crisp amidst the healthy load of vegetables wrapped in the translucent skin. 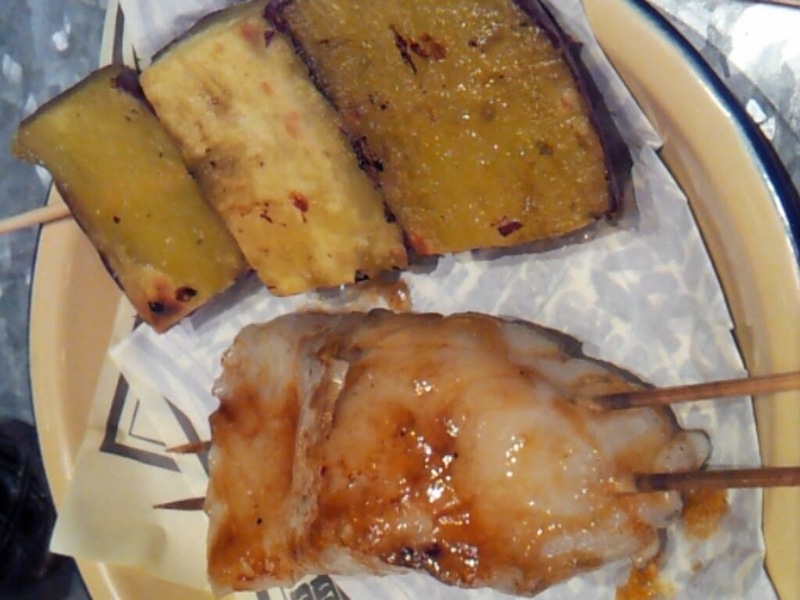 The cod fish came with some teriyaki sauce and served in a skewer. It was cooked till the tender flesh literally melts in your mouth with every bite. I could gladly have more! Juiciest pork belly i have ever eaten especially in a japanese cuisine. It is slow cooked with some special sauce which adds a slight tinge of saltiness but not too overwhelming at the same time. Goes very well with the grinded radish sprinkled over it. Would have been even better with some sake! 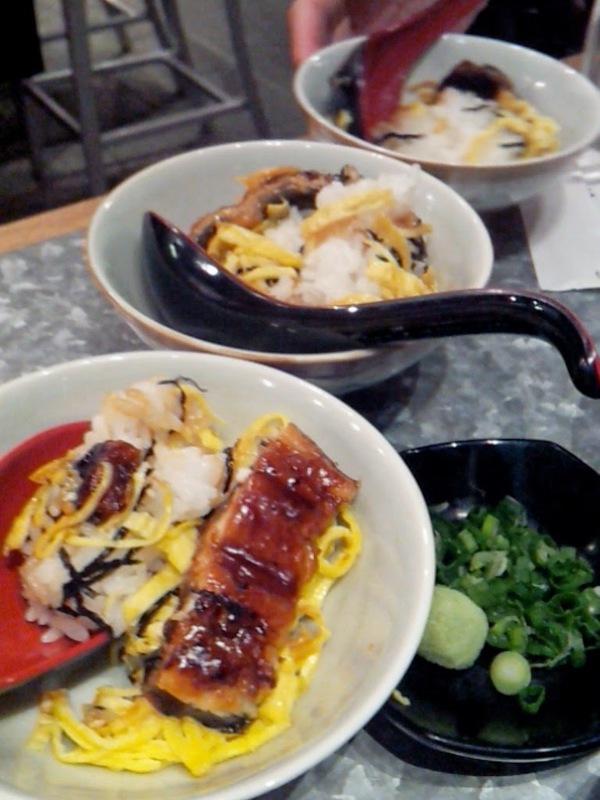 We thought it was the normal unagi rice served in a hotstone, well it was normal but with 1/3 the portion you get from average restaurants. It came with a teapot soup and the correct method is to scoop the pearly rice and unagi into a small bowl and top it off with the soup. Quite an unusual way of eating it but it reminds me vividly of the Hakka Tea Rice. The unagi was pathetic but not to mention, the flavourful and sweet marinated unagi totally bought me over if not already. This and pumpkin can never escape my eyes. 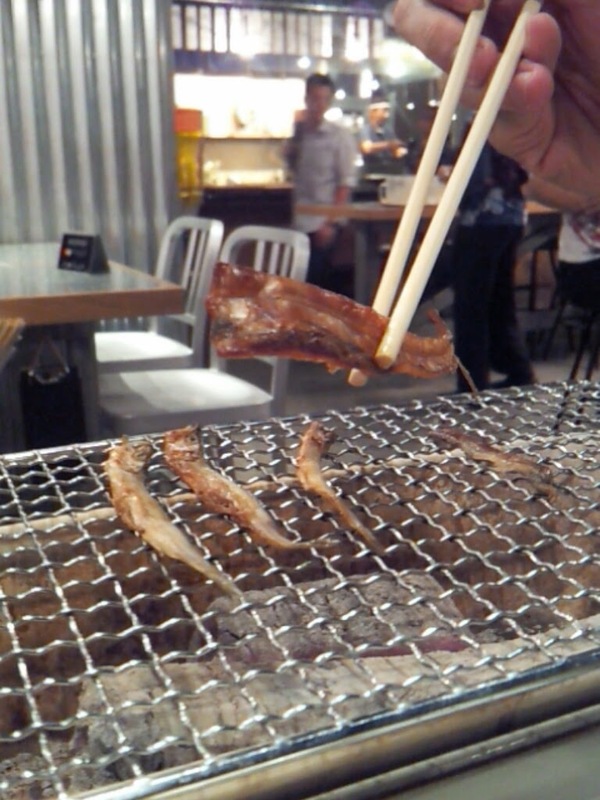 This was like a healthy snack because it is non- seasoned and grilled with the skin to give to it some texture. I hope you read till here. Because the best has yet to be mentioned. ...And it goes to the Grilled Cheese Bacon. Wrapped in a lean yet tantalising bacon slice, the cheese was semi warmed. 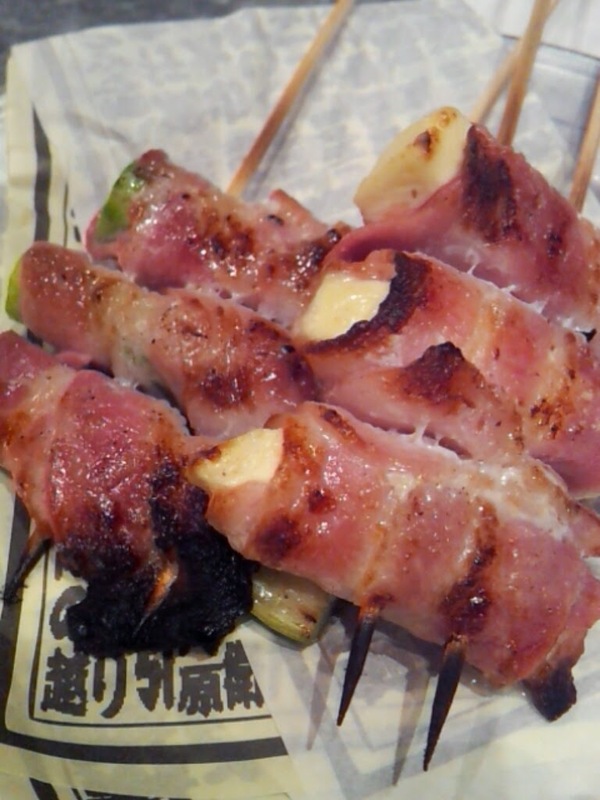 Best eaten right after grilling when the half-melted cheese ooze into your mouth....Sooo GOOD! Love the welcoming ambience and friendly service provided by mostly non local waitresses. 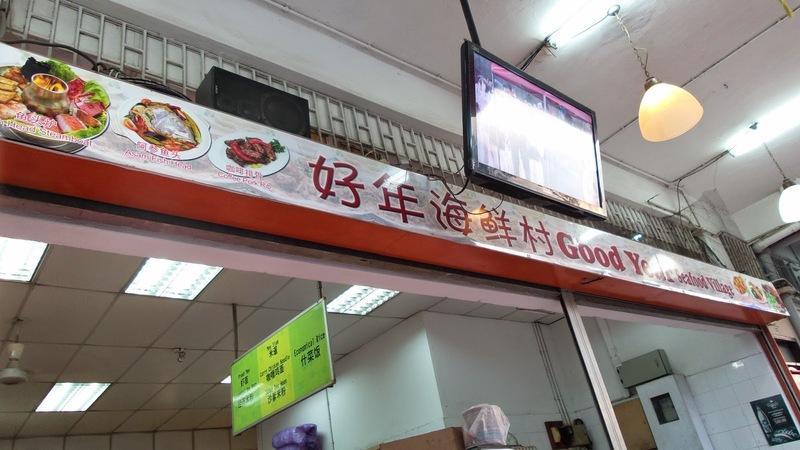 But so long as the food is good, nothing can turn me away. Nice place for couples or large group of friends but reservations advisable as there are not that many tables! Next time (yes, there's a next for sure), i shall get some beers to go along with the food and enjoy the night scenery from the rooftop.